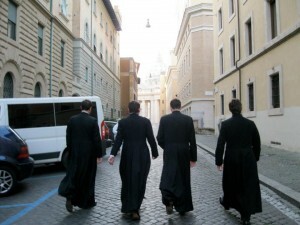 Do you have a Vocation to the Catholic Priesthood? 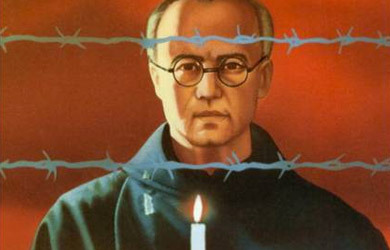 When St Maximilian Kolbe was asked by the Nazis commander of Auschwitz extermination camp in which he was imprisoned why he wished to take the place of a Polish father and husband who had been marked out for death in the starvation block, Maximilian Kolbe gave only one reason: ‘I am a Catholic priest’. The Church needs heroes, the world needs heroes, is God calling you to be a Catholic priest? Do you feel called to follow Jesus single-mindedly? Do you want to help Jesus love and care for His people? Do you love the Catholic Church with all your heart? Do you desire to give your life to serve God and His people 24/7? Do you long to serve God’s people through presiding at the celebration of the Mass? Do you seek to dispense the sacraments of healing to God’s suffering people? Do you want to be able to give the heroic answer ‘I am a Catholic priest’ as a witness to the world? Are you willing to undergo the challenging and rigorous formation of a seminarian so that your heart will be trained to give itself out of love for God and His people, like St. Maximilian Kolbe and the other priest saints? Is God calling you to be a second Christ who is the redeeming Servant of mankind? 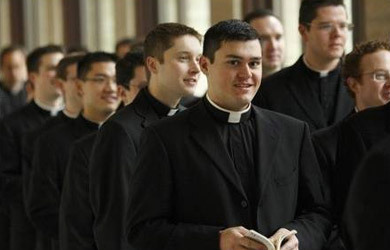 If your answer is yes to these questions have you considered the possibility that God is calling you to serve the Church as a priest? Jesus, the eternal Son of God, choose twelve men, the Apostles, to share in His authority and mission given Him by God the Father, which has been handed down, through the sacrament of Holy Orders and the Holy Spirit, to their successors, the Bishops, and those who are the bishops co-workers, the Priests. ‘When it was evening on that day, the first day of the week, and the doors of the house where the disciples had met were locked for fear of the Jews, Jesus came and stood among them and said, “Peace be with you.” After he said this, he showed them his hands and his side. Then the disciples rejoiced when they saw the Lord. Jesus said to them again, “Peace be with you. As the Father has sent me, so I send you.” When he had said this, he breathed on them and said to them, “Receive the Holy Spirit. If you forgive the sins of any, they are forgiven them; if you retain the sins of any, they are retained.” ‘ (John 20:19-23). It is clear that Jesus saw the ‘sending’ of the apostles as being identified and a continuation of His ‘sending’ by the Father, so in this sense Catholic priests are identified with, and continue, in a unique way the incarnation, the embodiment, of the eternal Son of God among His people. If you are wondering if God is calling you to be a priest, trust in the audacity of God who may think that you are capable, through His grace, of representing and acting in the person of His Son, Jesus Christ. 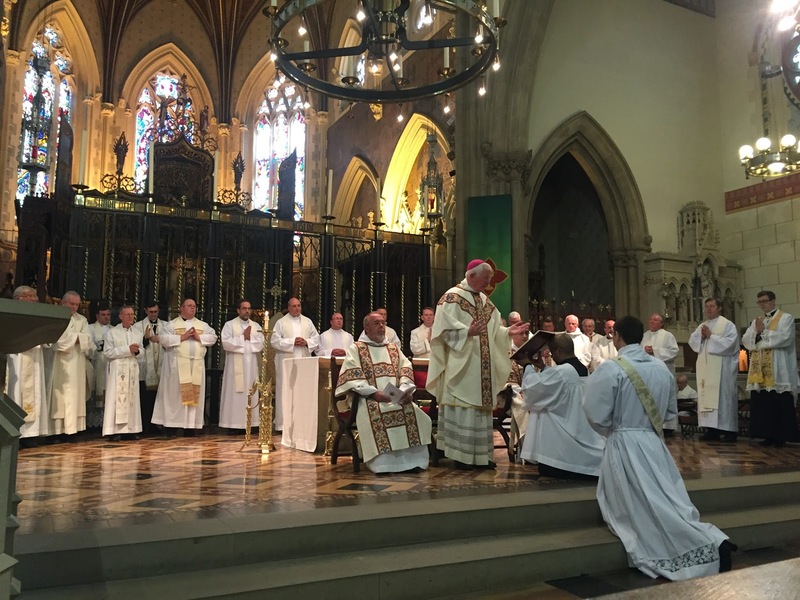 As such you are called, in co-operation with your bishop, to sanctify, teach and lead God’s people. 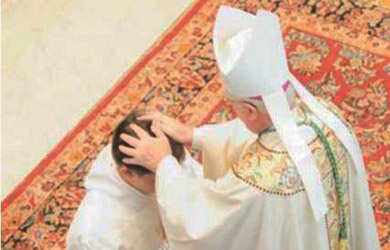 The supreme expression of your calling to be a priest will be your service of the sacrifice of the Mass, and your dispensing of Christ’s healing to your suffering brothers and sisters through the sacrament of reconciliation and the sacrament of the sick. A real desire to assist the bishop, and to serve the people. How do I become a Catholic Priest?